excellent location next to GAITE metro station & MONTPARNASSE stations (bus train metro) nice neighbourhoods with restaurants cinemas theaters shopping centers et supermarkets Very cosy building with modern furniture. Very kind staff. A free coffee/tea machine at the lobby. The one bedroom apartment was nice for all of us (family with 2 children) there is a free once time housekeeping on the half period wich is perfect for a 6 days stay but for only 6€ per day you can have it daily. Everything more than perfect for a studio! I did not test the breakfast. Very quiet and clean and very fast WiFi. The location and the kitchenette. The double bed was comfy and access to extra towels at any time. It is across the street from Gare Montparnasse and I needed easy access for an early morning train. The room was clean and staff friendly. Location is very convenient for station and other amenities. We paid around 89 euro for the room on a special offer which is ok value for a central location, I would not pay more as there is better value elsewhere in Paris if you can book far enough in advance. Nice studio in a good location right next to Montparnasse station. The room was adequately appointed with all the necessary utensils and appliances. WiFi very good and the availability of satellite TV channels a nice plus. One of our best sellers in Paris! 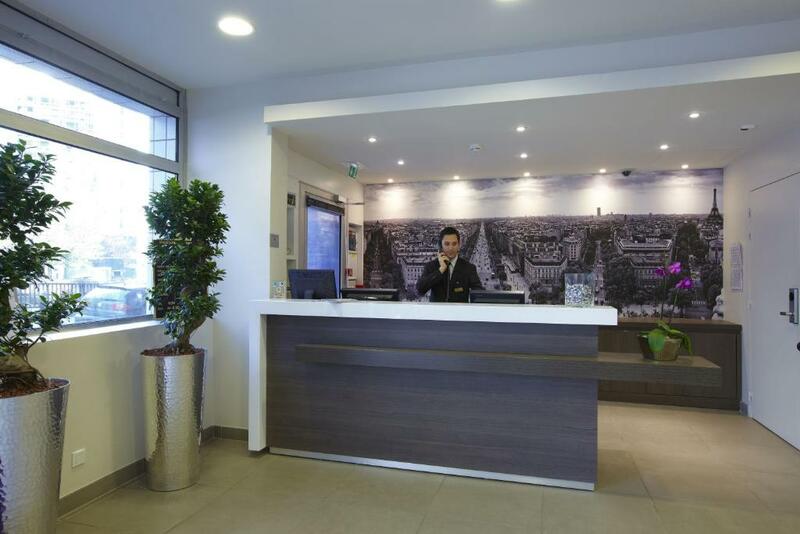 In the Montparnasse district, just 150 feet from Gaïté Metro Station, this 3-star hotel offers air-conditioned studios and rooms, a 24-hour front desk and free WiFi internet access. A flat-screen TV with satellite channels and a private bathroom are provided in each modern studio at Citadines Montparnasse Paris. A telephone and free WiFi are included, and the kitchenettes have hotplates, a microwave, refrigerator and a kettle for making hot drinks. A buffet breakfast is served every morning and can be enjoyed in the tranquil garden courtyard. Daily newspapers are provided and guests can watch TV in the lobby. Montparnasse Train Station is .3 miles away and a commercial area is available around the Montparnasse Tower, which is 1,150 feet from the residence. The Bourdelle and Rodin Museums are a 10-minute walk away, and the Luxembourg Gardens are 1 miles away. 뀐 Located in the top-rated area in Paris, this property has an excellent location score of 8.7! When would you like to stay at Citadines Maine Montparnasse Paris? The studios have a kitchenette with hot plates, a microwave and a refrigerator. They also have free WiFi, a telephone and a flat-screen TV with satellite channels. The studios have either a sofa bed, or 2 single beds, or a wall-bed. Once-a-week cleaning is included in the price. This classic room features a flat-screen TV with satellite channels, an iPod dock and a fridge. 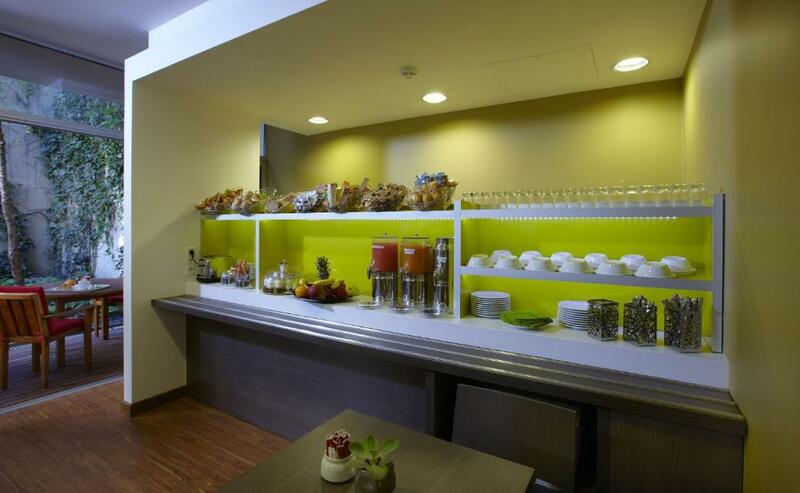 Facilities for making tea and coffee and free WiFi access are provided. Standard hotel services are included in the price for this room type. This apartment has a microwave, sofa and stovetop. House Rules Citadines Maine Montparnasse Paris takes special requests – add in the next step! Citadines Maine Montparnasse Paris accepts these cards and reserves the right to temporarily hold an amount prior to arrival. Please note the hotel's garage is only suitable for medium-sized and compact vehicles. Please note that the credit card used to reserve prepaid rates will be requested upon arrival with a valid form of identification. Payment will be requested upon arrival. Little old. No decent car parking. they did double booking!! although i had reservation before two month, they noticed it before just 3 days of our staying!! We could not stay the reserved room, hotel said that we can not stay here. in addition, they never discount for our staying about their mistakes too. I felt disappointment about their unfaithful. l was very confused because l had baby and 6 years child, I was stranger and it was my first visiting in france. Breakfast was very poor. No options. Rooms are very small. Not very clean. Rooms did not smell nice. Not much to like. Location was OK next to metro. The room was only cleaned once during our 8 night stay. Be sure to remind them at reception! The double room that I booked was very small and I could not find a place to put my suitcase even being alone. With two people it would have been impossible. The coffee facility was impractical with no power outlet close enough. An apartment might have been better. The bath tub was too high to climb in. Smel, of smoke in the bathroom, and that staff are still smoking. They need to hurry up with the lift that is under repair, one is not convenient for all rooms. Near the Montparnasse station. Good breakfast. Quite tired room. Net curtains were dirty and torn. Bathroom was very tired and in need of sprucing up. The silicone around the bathroom was black in places made it feel very old. The hallway smelled of smoke and I think people smoke in the rooms because there was a cigarette burn in the curtain by the window. There was no soap in the dispenser in the shower. There were also stains on the carpet in the hallway. The hotel looks far better in pictures than in reality. I am quite sensitive to smoke so I found it uncomfortable. We booked a studio and were given a double instead. After complaining we were unapologetically given our originally booked studio room. Room is ok but quite shabby. Hotel generally looks quite scruffy. No coffee / tea in room but there is free coffee downstairs in hallway area.